The first inhabitants of what is now the City of San Mateo were members of the Ohlone Indian tribe. Enjoying the fresh water and mild climate, the Ohlone tribe lived in the area for at least 4000 years before Spanish explorers arrived in 1789. Beginning in the 1850s, wealthy San Franciscans began looking for homes in the milder mid-Peninsula climate. 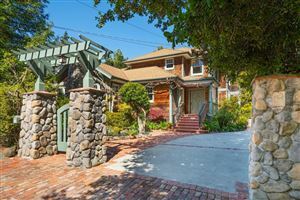 While most of their estates were built in neighboring Hillsborough and Burlingame, several historic mansions and buildings trickled into San Mateo. Today, the City of San Mateo (pop. 90,000) is still attracting residents with its location.It’s at the crossroad of three major freeways, providing a link with San Francisco to the north, San Jose to the south, and the East Bay to the east. Airport access is easy with nearby San Francisco International Airport. Given its lively metropolitan surroundings, San Mateo plans its growth carefully to maintain the City’s commitment to quality-of-life. It continues to excel in the development of housing opportunities, including high quality, affordable housing developments for low to moderate income individuals. Housing programs are also available for first time buyers living or working in San Mateo. The City of San Mateo especially encourages development that bolsters the economy while maintaining the quality of life expected by businesses and residents alike. This commitment to quality–of-life allows San Mateo to boast of great neighborhoods and schools, outstanding libraries and parks, a vibrant business life, and some of the best shopping and restaurants in the Peninsula.